About Us - Donn W. Prokopius, Chtd. If you are currently involved in or feel you may soon be involved in a legal matter, you need an attorney who will fight for you. At Donn W. Prokopius, Chtd. We are dedicated to helping people in the community and we are always there for our clients. We are here to help our clients get through these hard emotional times in their lives. We do this with the utmost attention to our clients and the law. If you are looking for a lawyer who will provide you with honest advice and personalized representation, we encourage you to contact Donn W. Prokopius, Chtd. at (702) 474-0500 to request a confidential, no-cost consultation. We look forward to hearing from you soon! Donn was born in Cleveland, Ohio in 1971. He attended undergraduate school at Bowling Green State University and received on undergraduate degree in business in 1993 and went on to receive a Masters in Business Administration in 1994. From there he when straight to law school at Case Western Reserve University and graduated in 1997 with a Juris Doctorate degree. 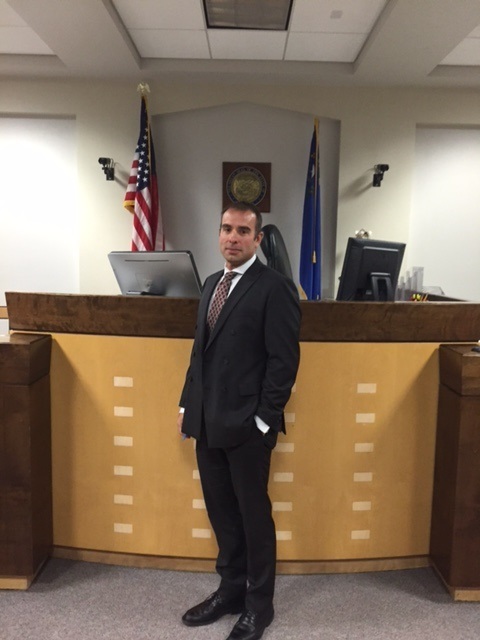 Donn W. Prokopius was admitted to the State Bar of Nevada in October of 1997 and has been practicing in the area family law, criminal defense, and personal injury since that time. He opened his own law practice July of 2000 and has been in practice ever since. Recognizing a need in the area of family law for a different way to bill the client he immediately instituted a flat fee structure which allowed client’s to know exactly what they were paying for the services that were going to be performed instead of hourly billing which many times ended up putting the client in the poor house. Over the years he has handled thousands of family law cases including divorce, child custody, child support, guardianship and adoptions. In addition to the hundreds of bench trials he has also handled extended felony jury trials on several occasions. Donn will always tell you what he can and can’t do for you. He prides himself on making sure his client’s come into cases with their eyes wide open so they know all possible outcomes of the case. He will not sugar coat the what can be done just to get your retainer.